From open countryside up until the 17th century; through the building of the canals and the industrial revolution; urban decline to regeneration; the site has had a fascinating history. The Colmore family were French by origin and had made their fortune in Birmingham dealing in cloth. The Colmore family home was a large, probably timber-framed house near the present site of Moor Street Station. 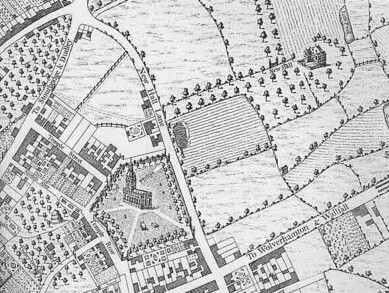 As a result of monastic estates being made available by Henry VIII’s dissolution of the monasteries, in 1560 William Colmore was able to buy the Conyngre, the ‘rabbit warren’ of St Thomas’s Priory which lay on the north side of the town between Sand Pits and Snowhill, Colmore Row and the ‘Priory’ Brook beyond Lionel Street. Rabbits had been introduced from the Mediterranean region in early Norman times and were farmed commercially on a wide scale by the 13th century. Bred for food and for fur they were an expensive luxury. These ancestors of the naturalised British rabbit had to be nurtured carefully in our colder climate. They could be contained by ditches and banks topped with an impenetrable shrub such as gorse. The light sandy soil of the Birmingham ridge was ideal. In the early years of the 17th century William Colmore’s son, William the Younger built a large Jacobean mansion called New Hall set at the top of this large estate. Newhall Street was originally an avenue lined with elm trees leading to the house which stood below Great Charles Street. Westley’s map of 1731 is oriented with west at the top. New Hall Lane is now Colmore Row; the road to Stourbridge and Dudley is New Street; the road to Wolverhampton and Walsall is Constitution Hill. Gradually the estate around the hall was encroached on by the expanding and industrialising town, but because of legal restrictions on the estate the Colmores, now long gone to Middlesex, were unable to sell their land for development. In 1746 Ann Colmore was able to have sponsored a private act of Parliament to solve the problem and the land was sold as plots. Development of the Newhall or Colmore estate was rapid, especially nearest the town. Most of Colmore Row was built up within five years, and the rest of the estate during the next 25 years. New Hall itself, after a spell as one of Matthew Boulton’s warehouses, was demolished in 1787. In the early 19th century Newhall Hill was the site of extensive sandpits; the sand was used for building work as well as for moulds in metal foundries. At the foot of the hill was the Whitmore Arm c1810 which left the Birmingham & Fazeley canal at Newhall Street, and it was from here that many tonnes of sand were transported. William Whitmore also owned a foundry alongside the new arm and was involved in building the Stratford Canal. Presumably he also sent his cast-iron fittings by this route. 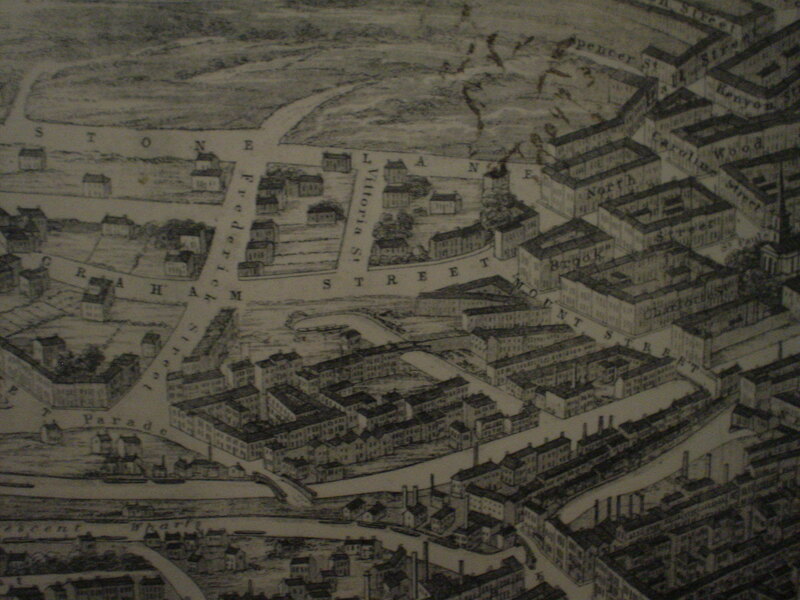 What spoiled Charles Colmore’s plans was the development of the canal system and the industry it attracted. The Birmingham Canal to Wednesbury, which had opened in 1769, was linked in 1789 to the Birmingham & Fazeley Canal which separated the new development from the town. Modern regeneration of the canals gives a misleading impression of their 18th- and 19th-century character. The canals were commercial highways and attracted industrial and warehouse building in urban centres wherever they were cut. 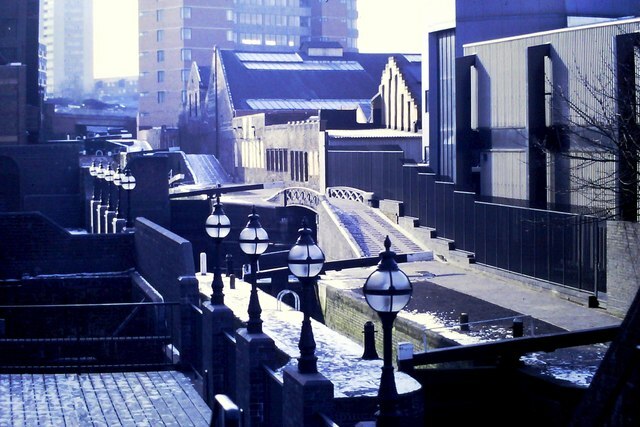 Wharves were built at the west end of the Colmore estate, the Newhall Wharf coming right up to the site of the old hall itself. All along the Old Thirteen, the locks on the Fazeley Canal which lead down from the town centre towards Aston, there quickly sprang up warehouses, yards, wharfs, and factories powered by smoky and noisy steam engines. As the middle-class moved out, their houses were taken up by toymakers and jewellers moving down from the old side of the Colmore estate below Colmore Row to the area below Lionel Street. By 1800 streets were being laid out on the hill above St Paul’s Square between Camden Street and Warstone Lane, and by 1840 along Great Hampton Street as far as Hockley Hill and the town boundary. 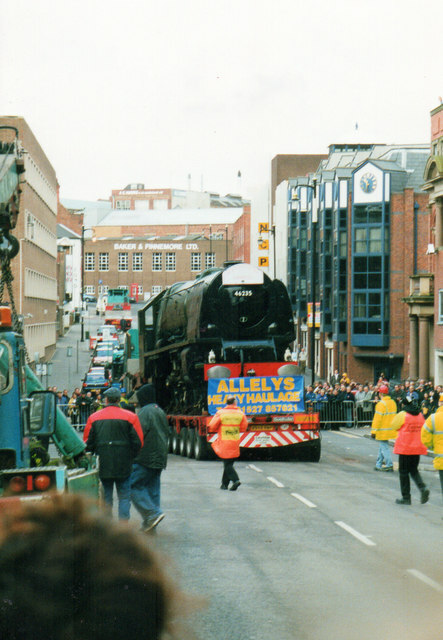 And it is from about this time that part of Hockley began to emerge as the Jewellery Quarter. The original c 1838 frontage of Elkington & Co’s factory, Newhall Street, from Wrightsons and Webb’s Directory of Birmingham, 1843. It was founded by George Richards Elkington and his brother, Henry Elkington, in the 1830s. It operated under the name G. R. Elkington & Co. until 1842, when a third partner, Josiah Mason, joined the firm. It operated as Elkington, Mason, & Co. until 1861, when the partnership with Mason was terminated. 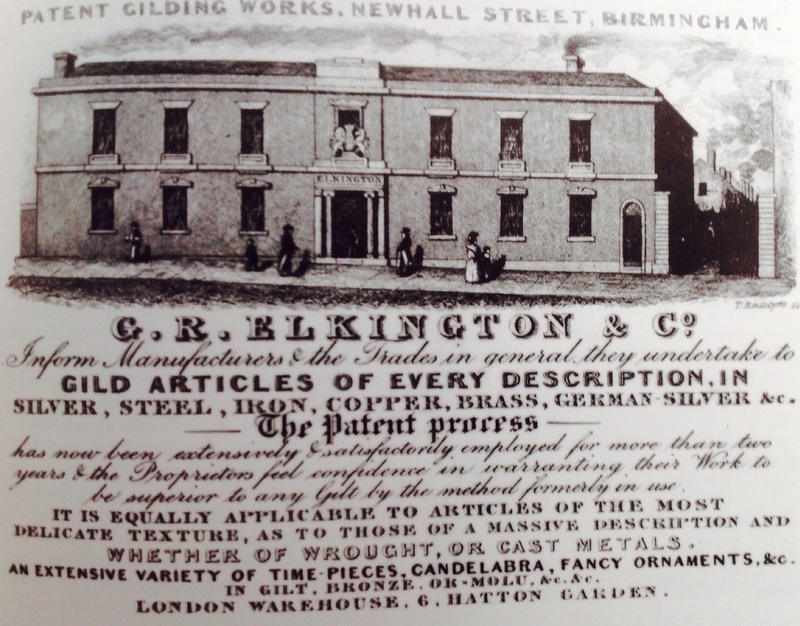 The firm operated independently as Elkington & Co. from 1861 until 1963. It was then taken over by British Silverware, Ltd.. In 1971 British Silverware, Ltd. became a subsidiary of Delta Metal Co. Ltd.
One large firm, Elkington’s, has commanded the electroplate trade since their patent of 1838. They employed between 700 and 800 workers in 1860, (fn. 27) rising to 2,000 in 1887. (fn. 28) The firm, now a subsidiary of Delta Metal, moved to Walsall after the Second World War. An extract from the English Heritage book, The Birmingham Jewellery Quarter – An Architectural Survey of the Manufactories. Cattell, Ely and Jones 2002 ISBN 1 873592 48 5 pp 251-253. Factory built for Elkington Mason and company in 1838, and in the mid 20th century converted to form part of the former Birmingham Museum of science and industry. This manufactory was built for the renowned electroplating and manufacturing silversmiths Elkington Mason and company, a firm established in 1838 by Henry and George Elkington. The buildings are located on the land that fronts Newhall and Charlotte Streets and extends between the latter and the Birmingham and Fazeley Canal. The site of the manufactory also goes across the canal and occupies a narrow strip of land fronting Fleet Street, with a brick vaulted basements of the buildings remain standing over the canal basin. This site is also crossed by the former Miss Colemore’s canal arm, latterly known as Whitmore’s arm, and is now infilled, the course of which extends in a north-westerly to south-easterly direction on the north side of the main canal. The Elkington manufacturing is where the technique of electroplating was first developed for commercial exploitation and where Elkington & Co revolutionised the silver-plating and gilding industries during the mid-19th century, and as such is of considerable historical interest. During the mid to late 19th century, the firm established themselves as one of the foremost manufacturers of decorative plated and silver weirs and acquired a worldwide reputation for the quality of their decorative art works. The Elkington site contains several significant buildings, including the offices fronting Newhall Street, several single-storey workshops to the rear and a three-storey warehouse are joining the course of the canal harm. The office consists of two phases, the area of the two probably dating from the 1840s or early 1850s and consisting of a staccato, two-bay, two story section of the otherwise demolished Regency style frontage. This two-bay section, however, is not part of the original facade, but rather two-bay addition of the original gateway to the works. The remainder of the surviving office range consists of the meter, three story edition dating from the late 19th century and built of brick in this Italianate style. The warehouse was probably built during the 1840s or early 1850s and is three stories and built of brick. It originally had an L-shaped plan with the main range standing parallel with the canal arm, and a shorter range extending across the canal at 90° to the main range. The house is significant as it is the only multi-storeyed workshop or warehouse building that survives on the site, although this form of building was typical of those found at Elkington’s until a program of demolition to place in the 1960s. The single-storeyed workshops were built in a large number of phases during the 19th century and the first half the 20th century. The two most significant examples were use by the Museum of Science and Industry has the power and engineering display halls. These are situated to the rear of the surviving 19th-century office range fronting Newhall Street. They were built into the principal phases during the late 19th century, the museum’s former ‘Power Hall’ probably being contemporary with the main three-storeyed office range fronting Newhall Street which it adjoins. The Museum’s former ‘Engineering Hall’ was probably built slightly earlier. Both have arcades constructed using cast-iron columns and retain their original structures, which have extensive roof lights. There are several smaller single-storeyed workshops on that part of the site, to the south-west of the Whitmore’s Arm. The phasing of this group of buildings is particularly complicated, although the majority of them date from after the 1:500 Ordnance Survey map was surveyed in 1887. There are also some early to mid 20th century workshop ranges within this group. There are other significant remains, most notably the brick-vaulted substructure of the building is facing Fleet Street, as well as the walls of the otherwise demolished workshops, which have been retained as boundary or yard walls. There is also an early 20th-century north-lit workshop with A ridge-and-furrow roof, several mid-20th century workshops and buildings of these three and four storeyes dating from the late 1930s. There is a large steel-framed building occupying the South-East corner of the site, adjacent to the Birmingham and Fazeley Canal, which was built in the 1960s to house part of the Museum of Science and Industry. It is set back from the building line of the earlier facade and occupies the site of the original manufactory built by Elkington, Mason and Company from circa 1838. An aerial view of the former Elkingtons’ works. The canal which runs along Fleet Street can be seen between the two left-handmost rows of buildings, indicated by 1. 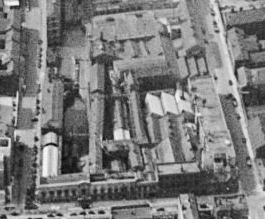 An early 1950s view of the Newhall Street elevation of the Elkington Works shortly after it had been vacated by the company. The only part of the facade to survive today is two bays of the two story section at the extreme right of the picture, the rest of the building having been demolished in the mid-1960s. The now defunct Birmingham Science Museum, or Museum of Science and Industry, previously the Elkington Silver Electroplating Works, is a building on Newhall Street in Birmingham, England. Standing opposite the Birmingham Assay Office the original 19th century Silver Electroplating factory of George Elkington, built in 1838, once occupied a much longer and grandiose building on Newhall Street which was largely demolished in the mid-1960s. 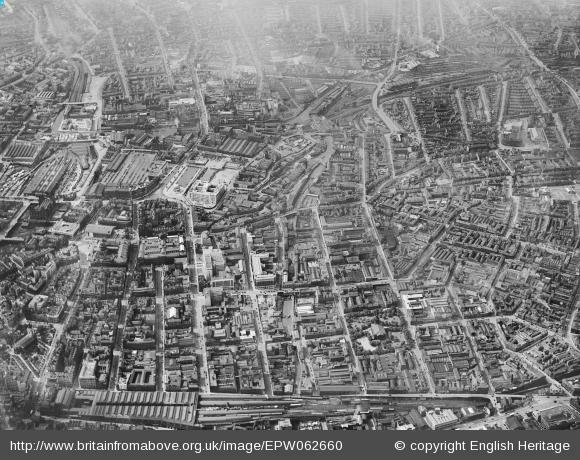 The works had many workshops and warehouses along and over the Birmingham and Fazeley Canal and the now filled-in Whitmore’s Arm (or Miss Colmore’s Arm) canal, which ran through the site. 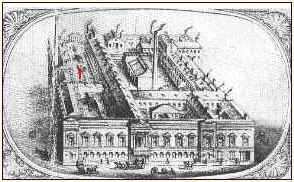 In the early 1850s there was a steam-powered electric generator with 64 permanent magnets arranged in a circle and a rotating wrought iron armature. The electroplating process involved solutions of cyanide of silver and potassium cyanide. It became the science museum of Birmingham Museum & Art Gallery in 1951 until its closure in 1997. Many exhibits were then moved to Thinktank which later opened as an entrance-fee-based exhibition in Millennium Point in Eastside, in September 2001. Among the famous exhibits to move in the relocation was the 1797 Smethwick Engine, produced by famous local industrialist James Watt. It had originally been located in the town of Smethwick, before being relocated to the Birmingham Canal Navigation Workshops (actually some 10 miles away to a town named Tipton) in 1897. 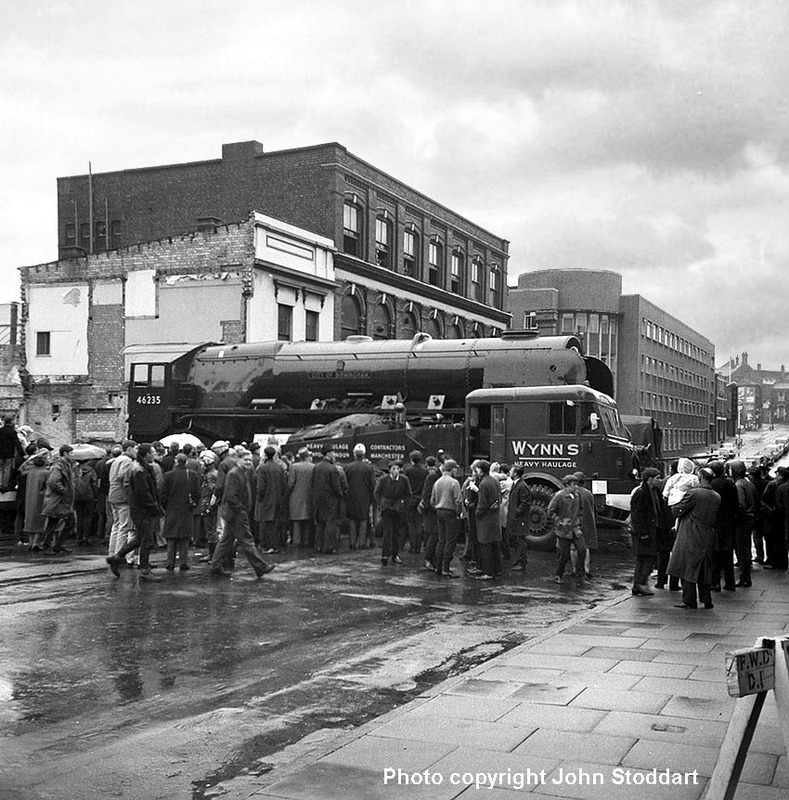 However, it came to the museum in 1959 on the closure of the workshops. Much of the the old museum building has been demolished in 2006 and the site is currently being redeveloped. The remaining facade on Newhall Street carries two blue plaques on its wall, one to George Elkington, and another to his employee Alexander Parkes who is credited with inventing the first plastic. © Copyright Roy Hughes and licensed for reuse under this Creative Commons Licence. 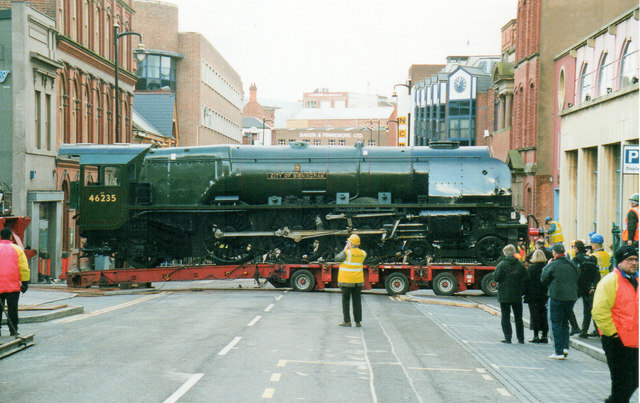 46235 City of Birmingham being moved from the Science Museum in Newhall Street to the new “Think Tank” on Eastside. View from Newhall Street of canal squeezed in alongside Fleet Street. The building on the right is the then Science Museum (closed later and moved to Millennium Point). The other buildings on right of canal up to the flats at junction with Summer Row have since been demolished also. © Copyright Michael Westley and licensed for reuse under this Creative Commons Licence. English: The old Museum of Science and Industry on Newhall Street, Birmingham, England. Formerly the Elkington Silver Electroplating Works. Showing blue plaques for Alexander Parkes and George Elkington. Photographed by Oosoom 18 September 2006. 144 Newhall Street was formerly part of the Science Museum and stands on the site of the Elkington Silver Electroplating Works, one of the most pioneering companies of the Industrial Revolution. After the closure of the Science Museum in 1997 the building housed exhibitions as part of the Museum of Lost Heritage public art programme partly sponsored by ROSB. 144 Newhall Street and The Engine Room have now be extensively refurbished to create unique and contemporary office/studio and bar accommodation. TROVE (http://trove.org.uk/about/) is a curatorially/independently run art gallery, Directed by Charlie Levine. Since its launch in October 2009 TROVE has shown artists from all around the world from all different stages in their careers. 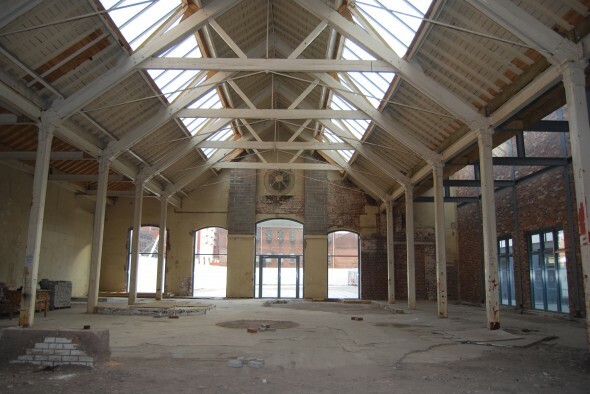 Between October 2009 and December 2012 TROVE was located in heritage site the former Engine Room of Birmingham’s old Science and Industry Museum, whose collection moved just before 2000 into Millennium Point. Prior to the Museum the site was home to Elkington Silver Factory, the first silver-plating factory in the world. Now re-named as Newhall Square, the gallery was part of an ever evolving part of the Jewellery Quarter just five minutes walk from Birmingham’s city centre.